Thanks a lot ! 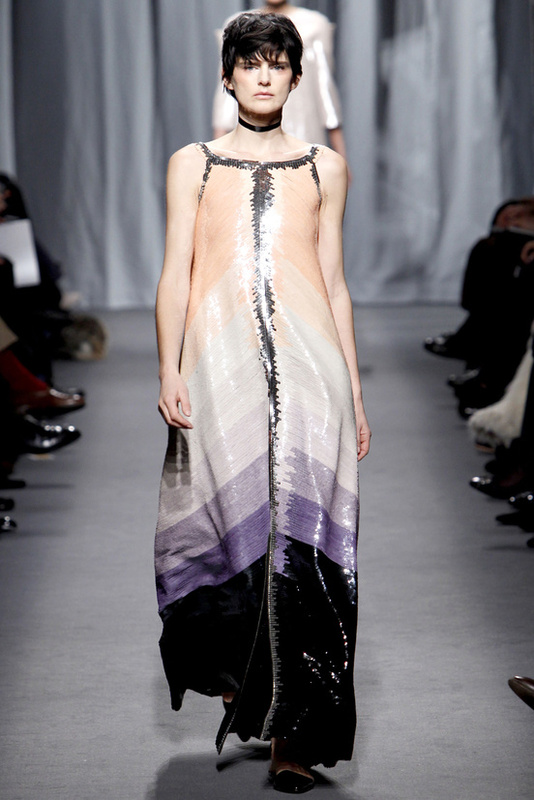 This fantastic dress, decorated with sequined chevrons, is gorgeous indeed ! This is so graceful and flowing…i feel like a trip to the ocean…and how about some caviar? Thank you for writing these beautiful analogies ! Beautiful- this one took my breath away~!! Thank you for the kind words ! Yes, there are some greatly enjoyable posts on your blog ! this is definetly yummy, very elegant and the detail is awesome. Mayann did you change to Vogue…I love Vogue great magazine to. we love that the fabric shimmers and seems to spread fairy dust as gorgeous Stella walks in it! Only Karl could make a hippy silhouette so painfully luxe! !